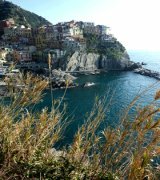 We will be walking on the Montemarcello trails on Saturday and Sunday. Do you think we can find food shops in Tellaro and Montemarcello if we would like to picnic, or should we pick up supplies in Lerici before setting out? I realize most will be closed from 1-4 or so, and most will probably be closed on Sunday, correct? Last, are their any small food shops/restaurants in La Serra? There are some small shops in Tellaro and Montemarcello which will be opened on Sunday. There is also a shop in Montemarcello that is famous for their focacia (it is a type of bread, speciality in this area). They bake it in the shop and make different kinds of toppings for the focacia. It is very tasty and will be ideal for a picnic. 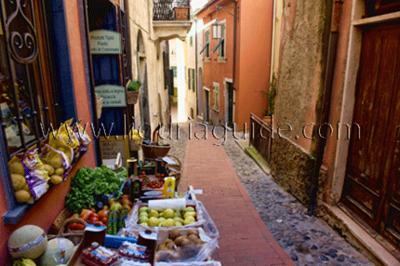 You will also find a couple of food shops in La Serra where you can buy provisions as well as fruits and vegitables. There are a couple of places to eat in La Serra too but they open only after June 1st. Your best bet for a restaurant will be to go down to Lerici or San Terenzo. I hope this helps and let me know if we can be of further help. In Tellaro there was a place we had really delicious snacks (of course focaccia but also some vegetable tarts). It was in the main square area of Tellaro and sold gelato. There are a few places in Tellaro, so no one will leave hungry if passing through on a hike. In Montemarcello, I recommend any hiker first stop in Bar Il Giardino before setting off on the trails (it is just across from the park headquarters). Again, fantastic focaccia. In Lerici, no one should leave town without a meal at Il Pescatori, just go hungry! We also quite liked Enoteca Baroni for apertivo (if I have the name correct--I know it was on via Cavour, but I could have sworn the name was different). They had the best black olive pesto. The ice-cream at La Rana Golosa gelateria in San Terenzo, I have to say it was one of the best gelatos I had on the entire trip, not just the La Spezia region, and I had the simple fior di latte, so you know that is quality.